This camp themed personalized wrapping paper has all of the elements of nature. Perfect for the boy in your life, no matter the age or occasion. 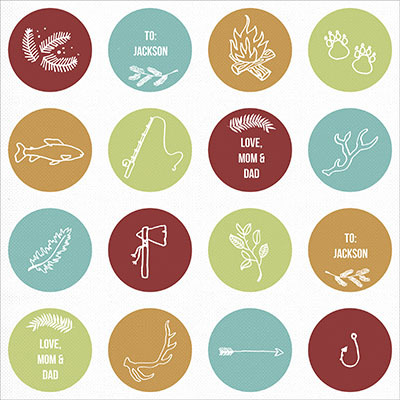 You will find fish, feathers, tomahawks, antlers and fishing pole on this wrap with customizable elements. Use this personalized wrapping paper for Father's Day, birthdays or just because.